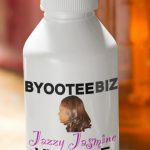 Here at ByooteeBiz® we know how important hair maintenance can add gloss and shine to hair. Whether it’s naturally grown or human hair extensions, healthy regimens and nourishing hair products are essential for lustrous hair. ByooteeBiz® founder Priscilla Pettway has over 35 year’s experience of haircare and knows that Proper Hygiene, Moisturizing, Cleaning, Treating and Conditioning are all vital in hair care and are as equally important in skincare. TIPS to healthy glowing hair. SESAME Seed Oil strengthens muscle tissue, hair and skin! ALOE VERA soothes and cools! AVOCADO Oil rejuvenates, moisturize and heals! COCONUT Oil moisturizes, nourishes and conditions! ESSENTIAL Oils support skin and hair healthy! MACADAMIA Nut Oil regenerates, restores and softens! PARSLEY Oil stimulates and refreshes! SHEA BUTTER moisturizes, rejuvenates, conditions! VITAMIN E Oil promotes face, body, and hair health! ARGAN Nut Oil improves skin appearance! EMU Oil improves skin, nail, and hair condition! JOJOBA Nut Oil conditions, moisturizes and cleans! MUSKMELON Oil has hair and skin benefits! ALMOND Oil softens and soothes!